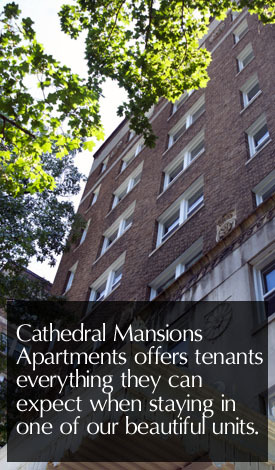 Cathedral Mansions Apartments are located in the Shadyside area of Pittsburgh. It's central location is minutes from the universities and hospitals in Oakland as well as the Shadyside business district. If you're looking for an apartment, contact us today for a tour. 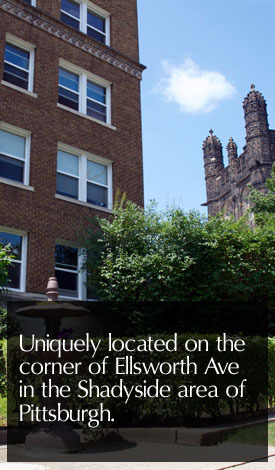 Cathedral Mansions are conveniently located within walking distance to the University of Pittsburgh and Carnegie Mellon University. UMPC Hospitals, The Carnegie Museum of Art and Natural History, fast food, restaurants, bars, shops, and grocery stores are also located nearby. The PAT bus stop is right outside the door.